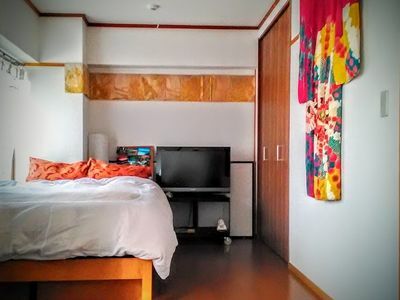 5 minute walk to Gion Shijo Area, and located in between SHIJO subway station(access from Kyoto station and fastest way to get to Downtown Kyoto) and KAWARAMACHI station(Hankyu Line, easy access to OSAKA&one transfer to NARA prefecture). A. Yes, the area where house is situated is very safe. It is an up-market neighborhood, and single women often walk around to and from their apartments, workplaces and the station. 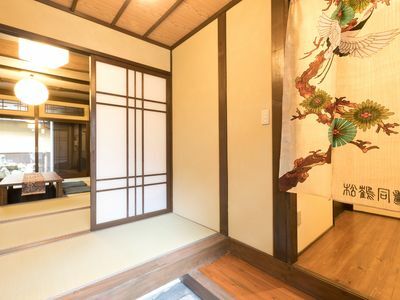 I think you will find staying in this house in Kyoto to be convenient, relaxing and safe. A. No, we just kindly ask guests to leave the garbage INSIDE the house for the cleaning team to dispose instead of leaving them outside. Please remember to take all of you personal belongings with you and close the door when stepping out. Q. We have a small child that won't be needing separate bedding. Can they stay for free? A. If your child will require a separate bedding and separate towels, please count them in the number of guests staying. If they will be sharing bedding and towels, he/she is welcomed to stay free of charge.